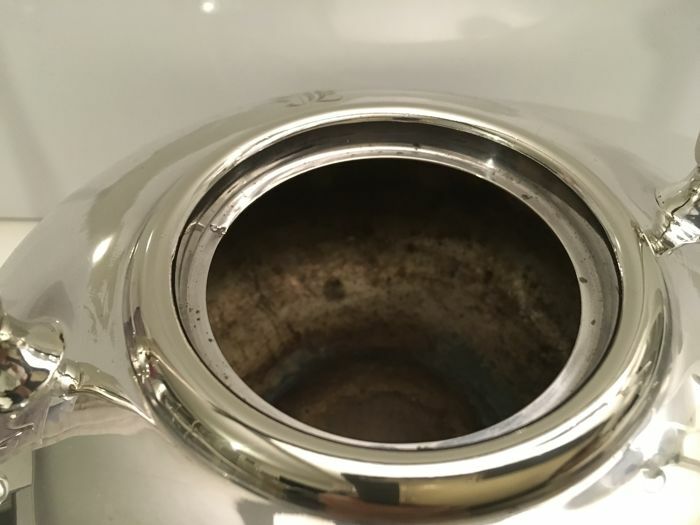 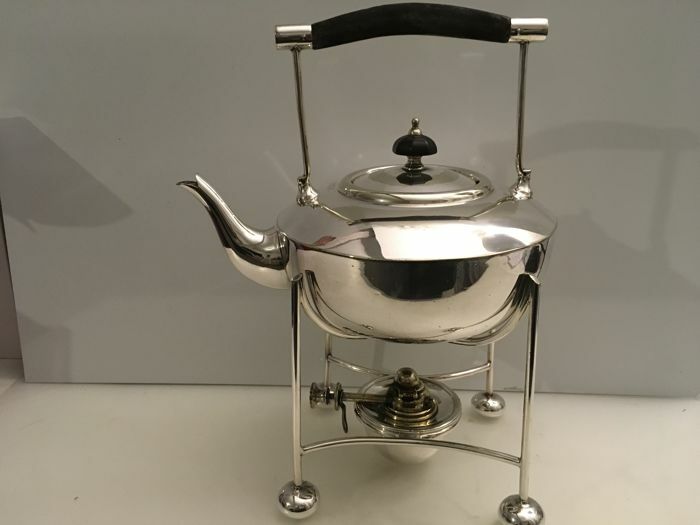 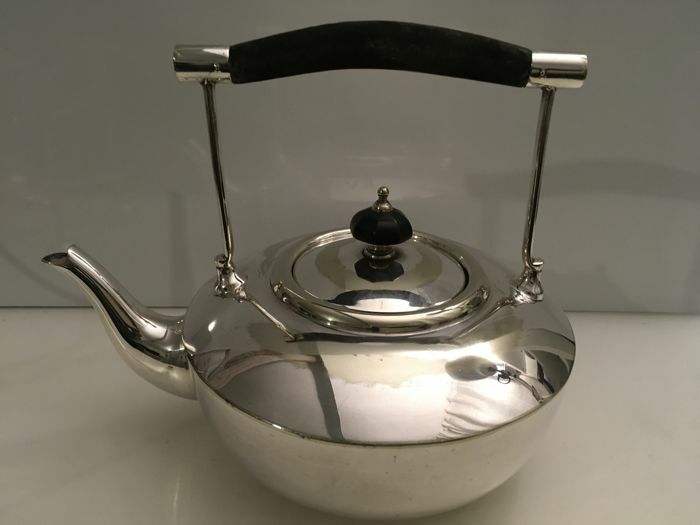 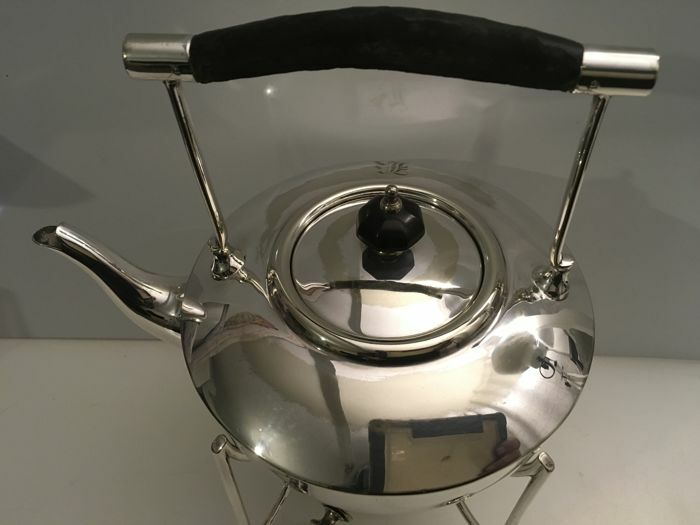 Silver plated tea kettle with stand and original burner . 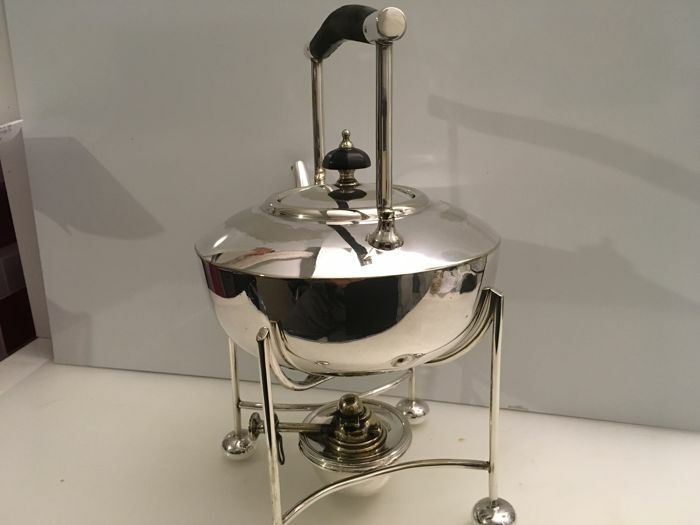 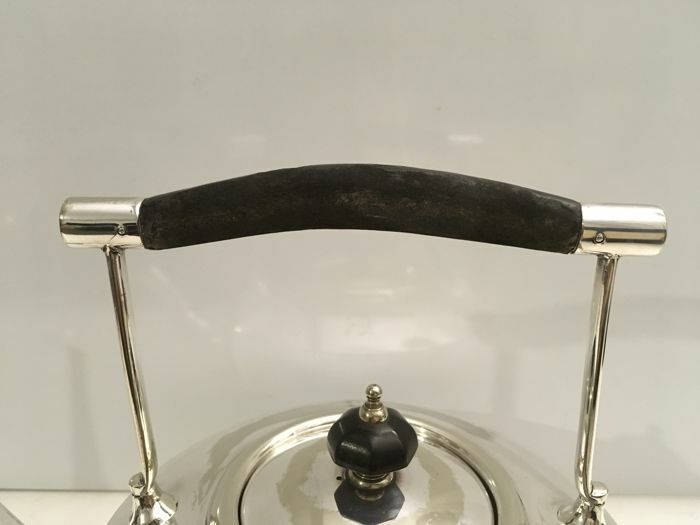 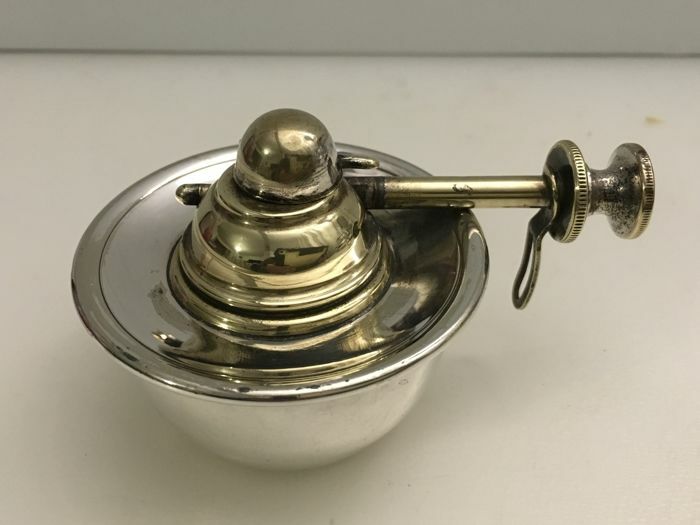 The stand has 4 circular feet and the finial, spout are in good condition and no water loss , the fixed wooden handle has some ware and some plate loss ( please see photos ) and very tiny dings but no concern . 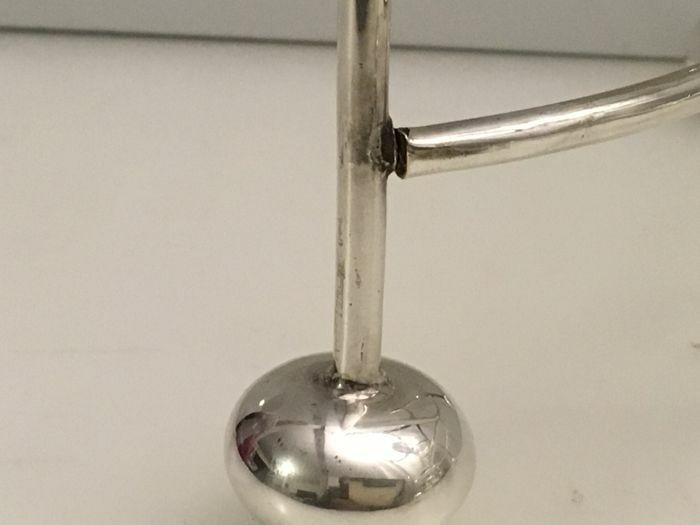 One of the legs on the stand is loose but can be repaired. 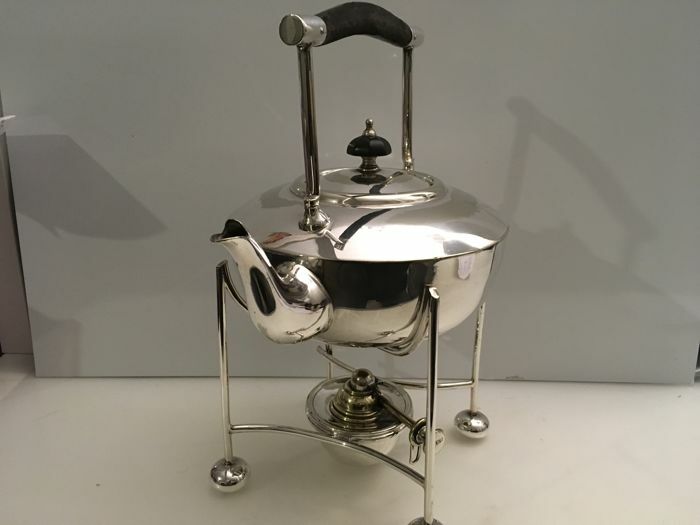 Overall dimension - height 27.5 cm x 21.5 cm wide x 15.5 cm depth. 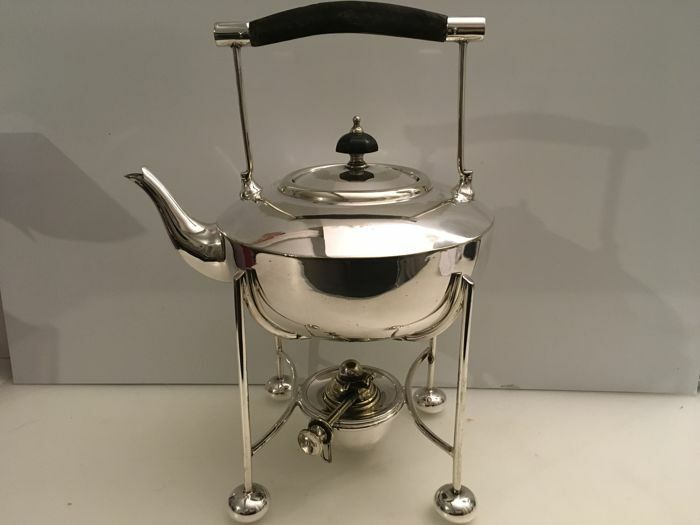 Kettle- 17.5 x 21.5 x 15.5 cm. 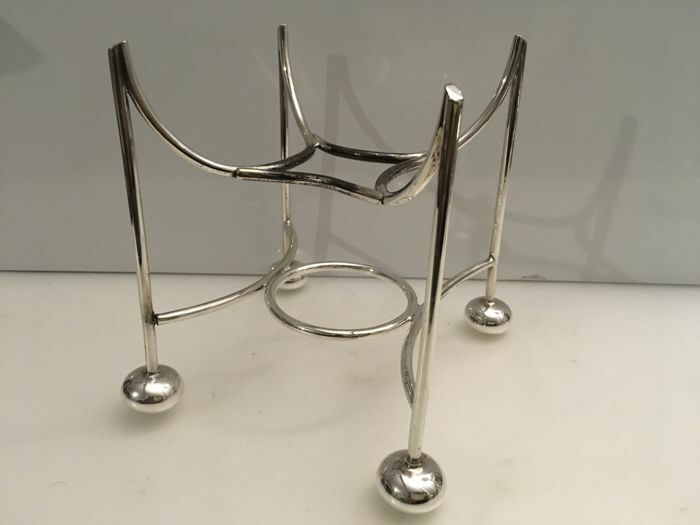 Stand - 14.5 x 14 x 14 cm. 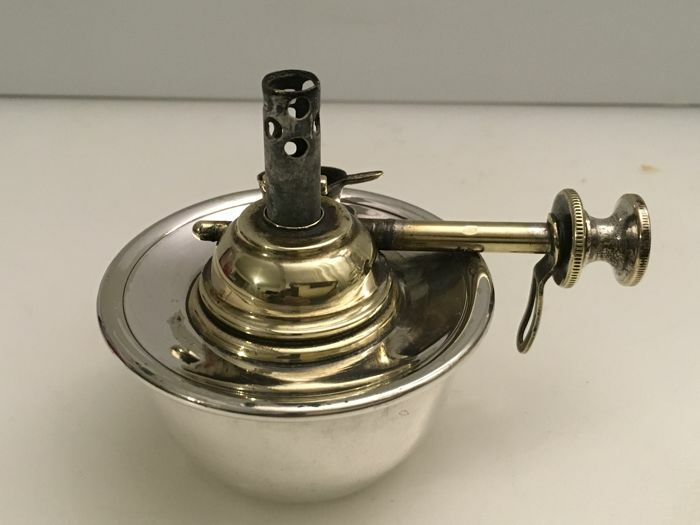 Burner- 6 x 9 x 6.25 cm. 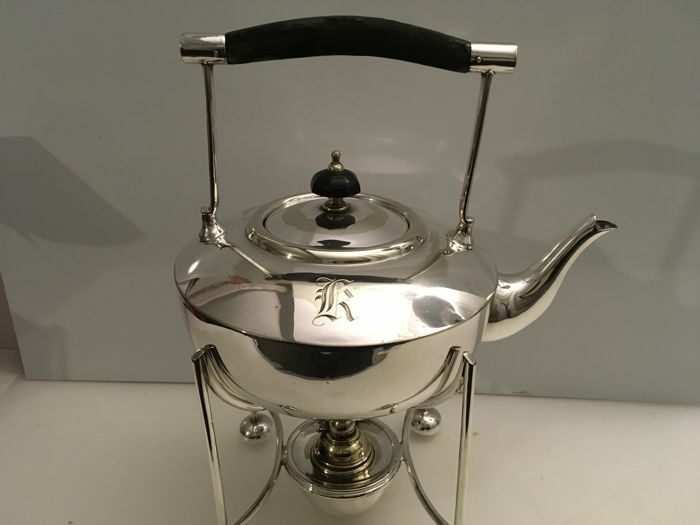 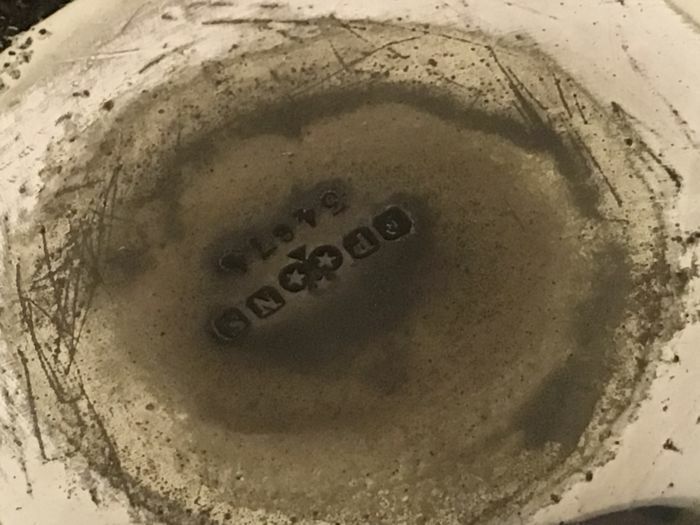 There is a monogram on the kettle.